The Forged Narrow Superlite 4R Dust Seal (FNSL4R-DS) is our newest version for the venerable Superlite caliper series adds the versatility and convenience of radial mounting to this widely popular caliper group. Radial mounting simplifies adaptation and provides two planes of adjustment for accurate alignment over the disc. The addition of Wilwood’s exclusive wiper dust seal allows these calipers to be used in areas that may mandate environmental sealing. 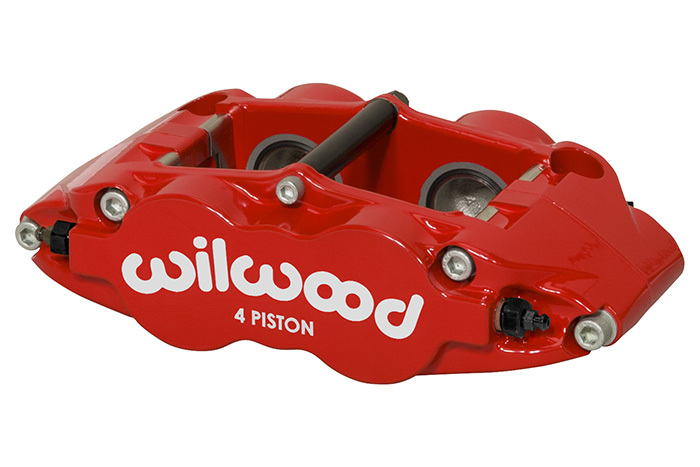 These calipers integrate "Big Brake" style with Wilwood's latest technology to generate big stopping power in extreme environments over a broad range of vehicle applications.